"Backyard Birds" is just as it says --- a collection of bird images taken around our backyard, located in Vancouver, Washington, in Clark County. This list was begun in March 2008, with images of birds found in the trees in our yard, or images of birds flying overhead. 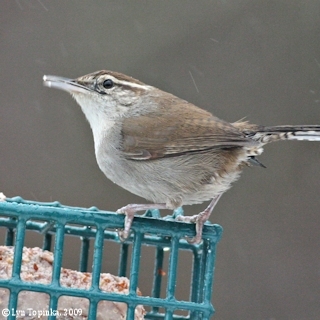 A "feeder" was added during the record-breaking snow of Christmas 2008. 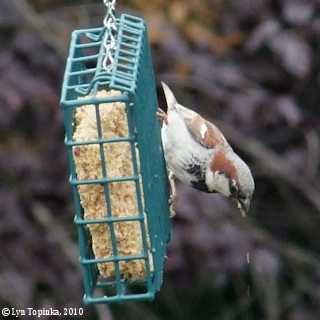 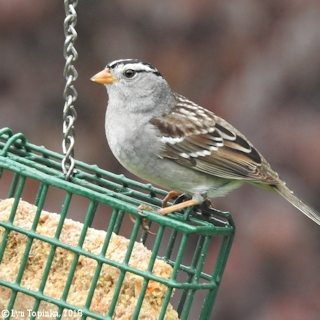 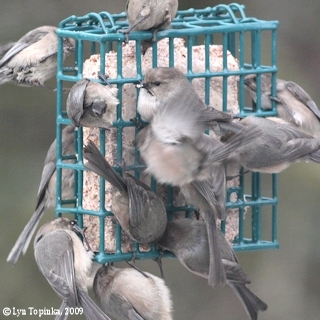 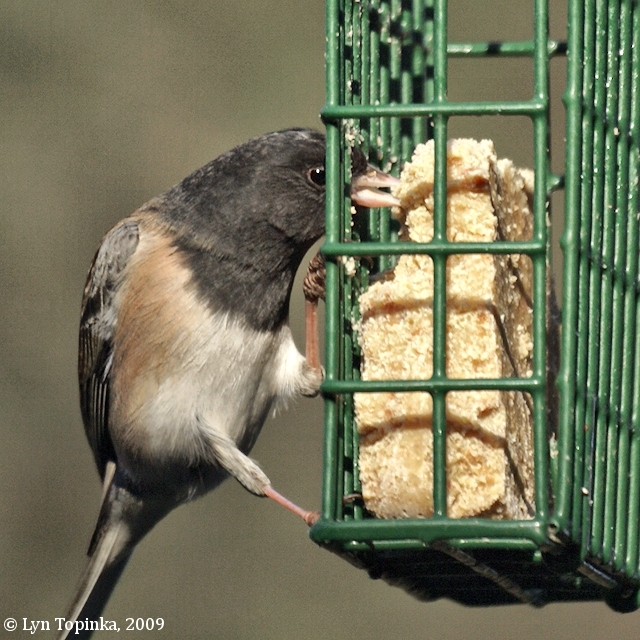 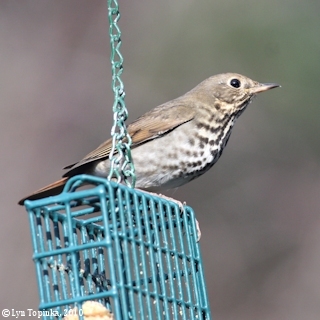 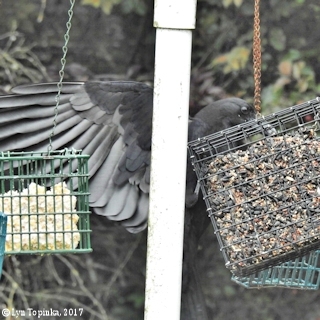 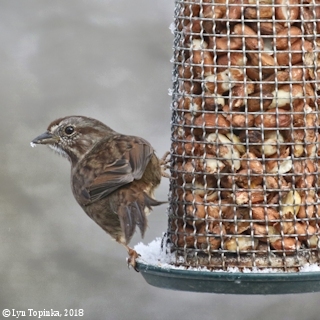 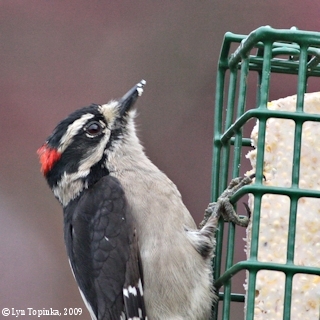 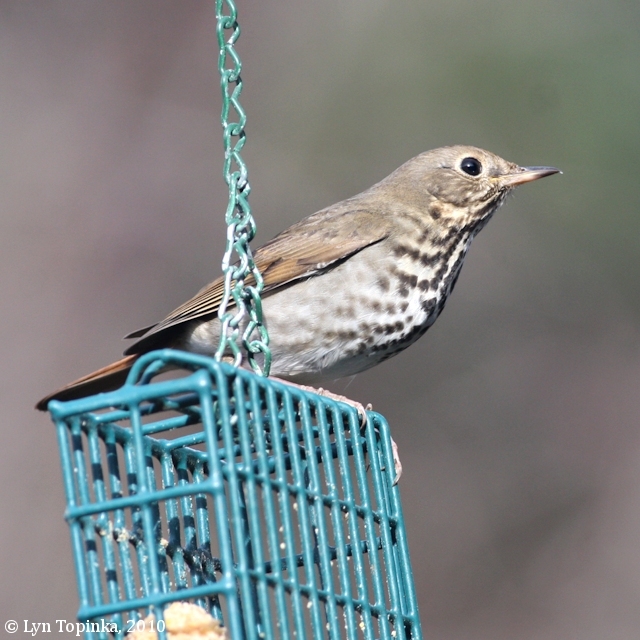 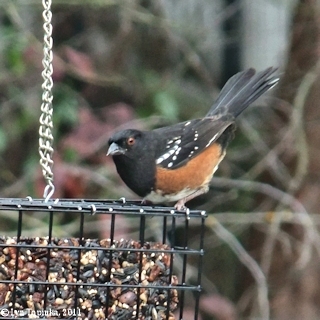 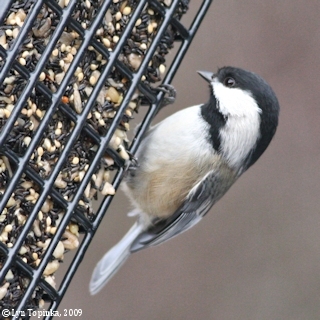 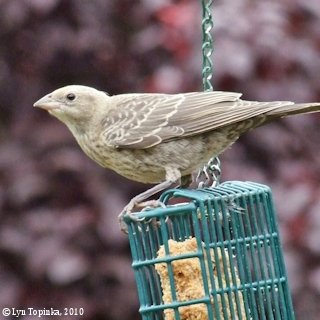 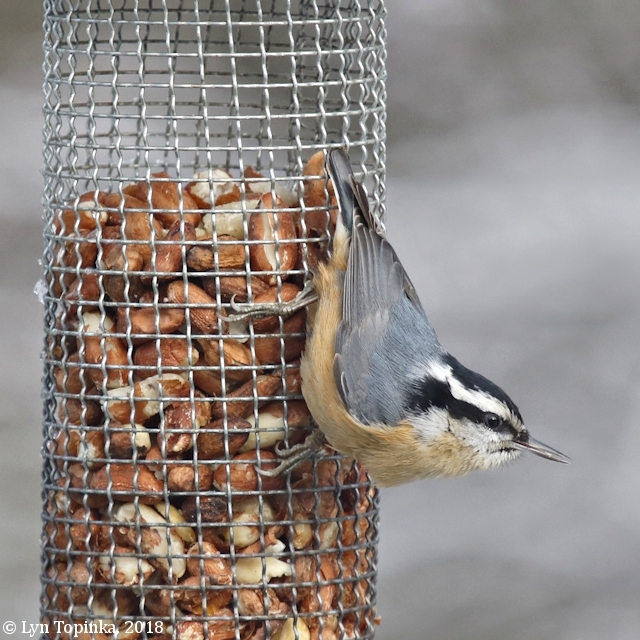 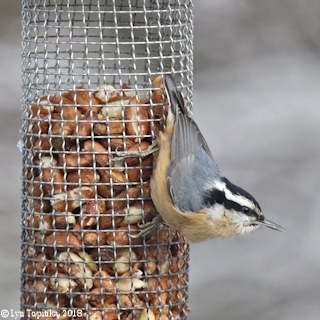 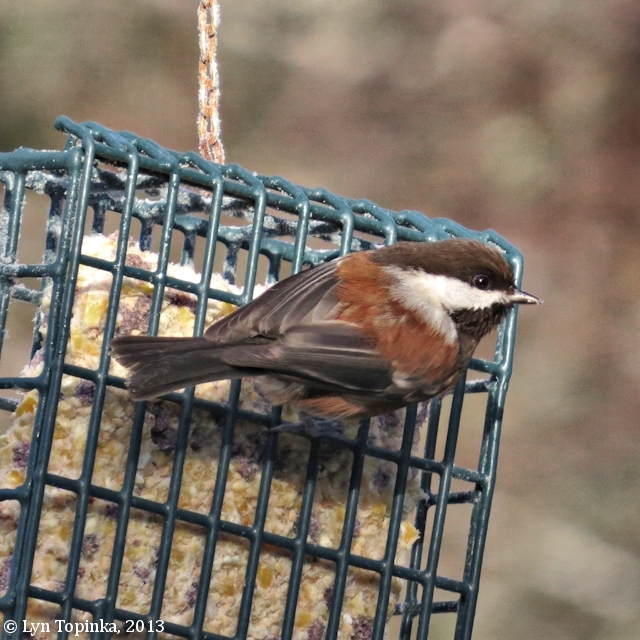 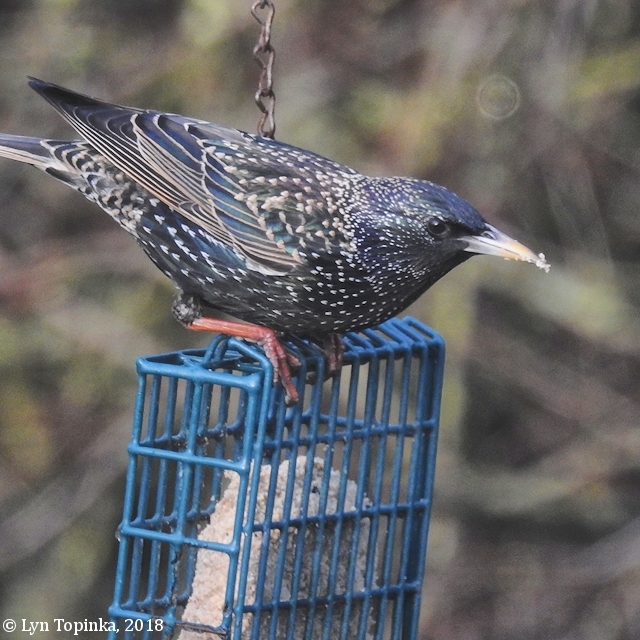 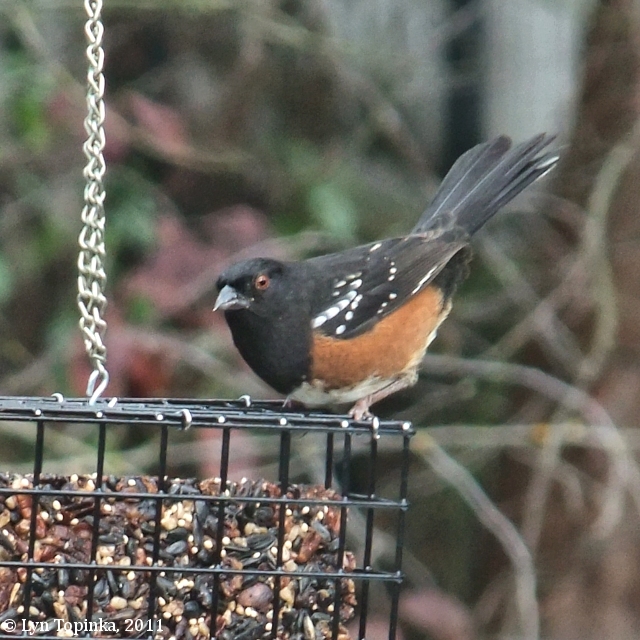 This "feeder" varies between peanut-butter suet blocks, thistle socks, and seed blocks, all hanging from a "T" of PVC pipe. 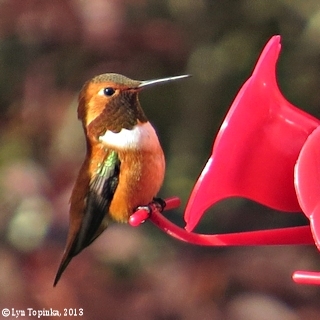 Hummingbird feeders were added in 2012. 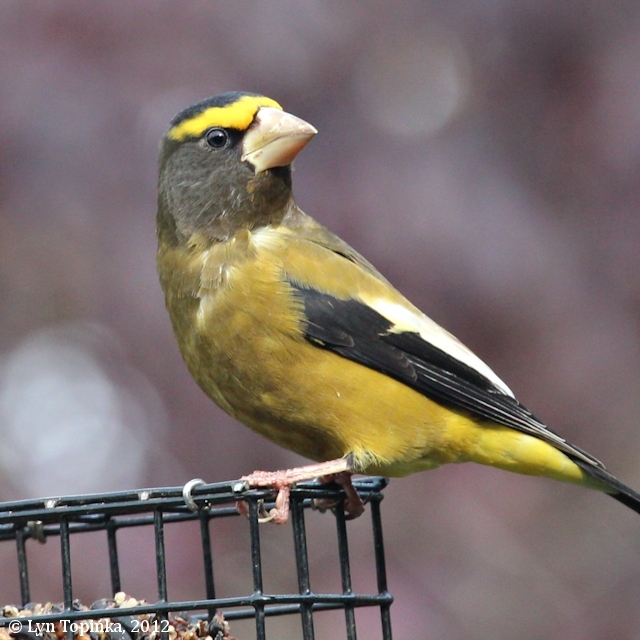 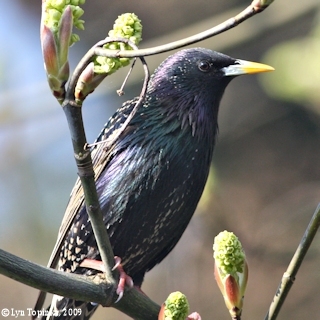 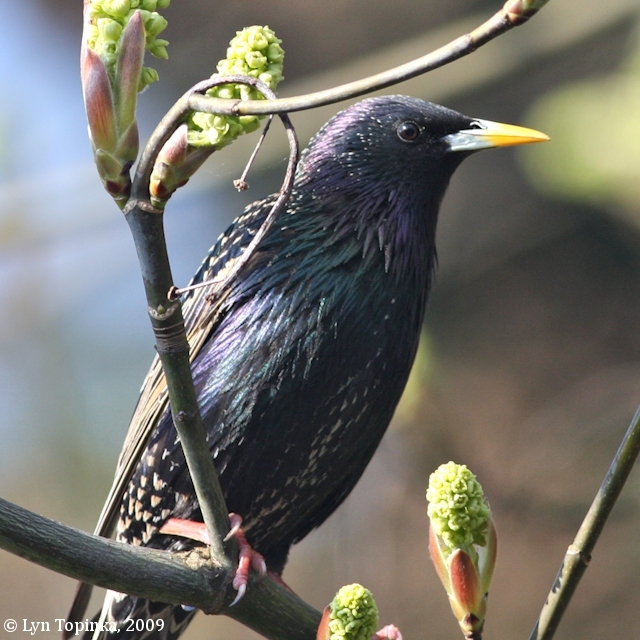 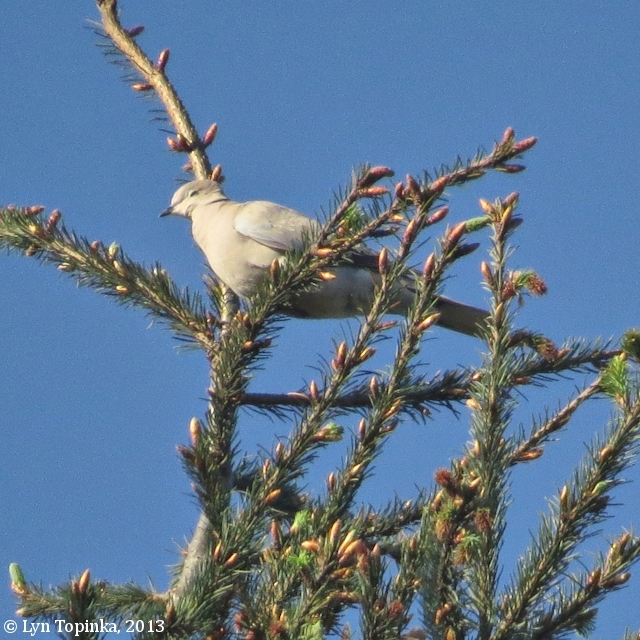 PLEASE NOTE: For generally better images of the various birds, please click on the bird links within this page. Otherwise, enjoy this page for what it was meant to be, sharing what we enjoy in our backyard. 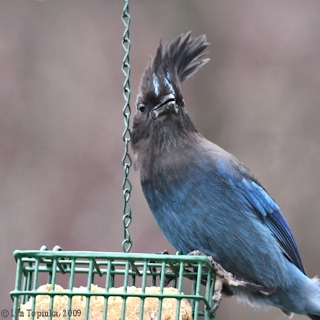 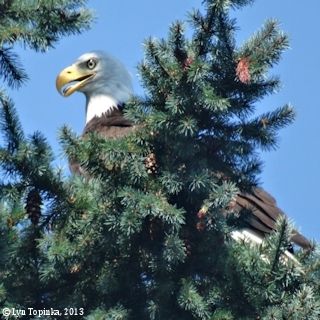 To see more birds photographed in Clark County ... click here. 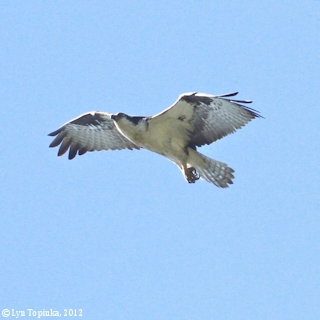 Great Horned Owl ... heard May 2, 2012, mp3 format, 8 seconds, 220K. 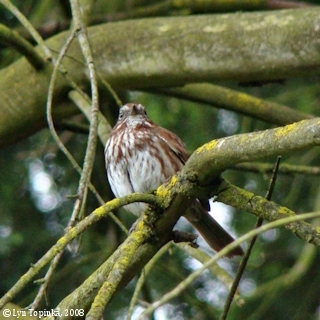 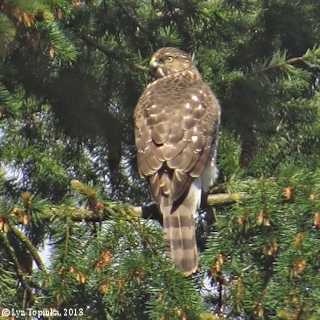 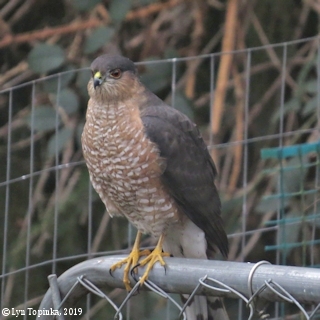 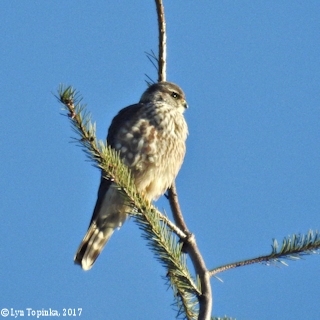 Click image to enlarge Sharp-shinned Hawk, Backyard, Vancouver, Washington. Image taken January 5, 2019. 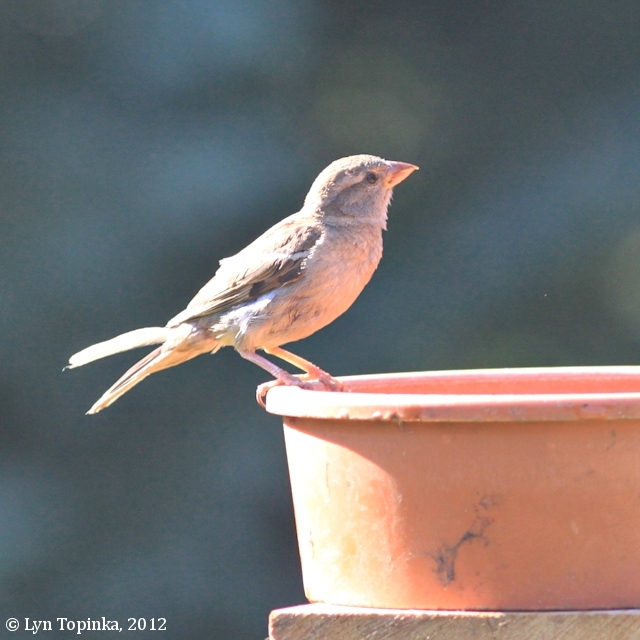 Canon Rebel, 200z with 1.4. 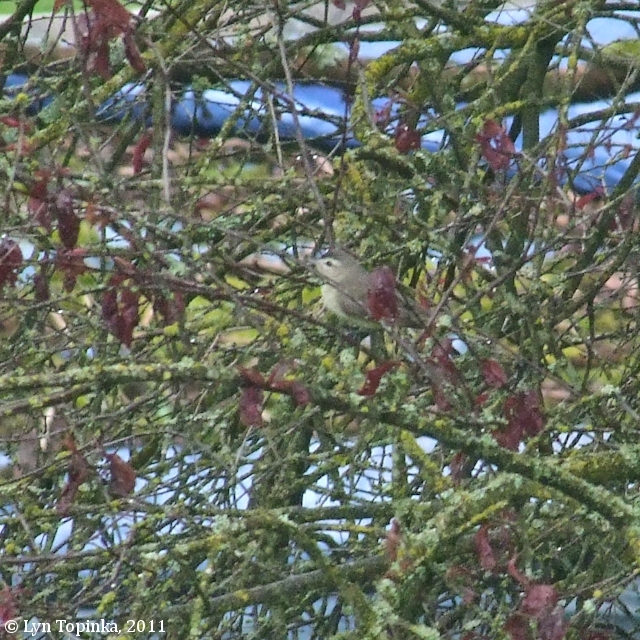 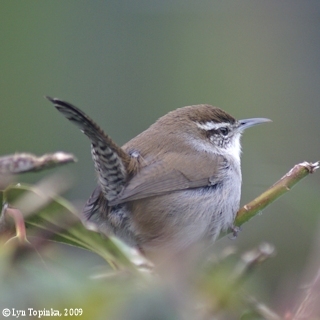 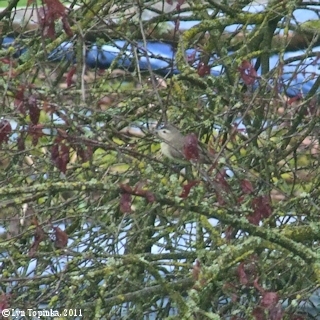 Click image to enlarge Bewick's Wren at nest area, Vancouver, Washington. 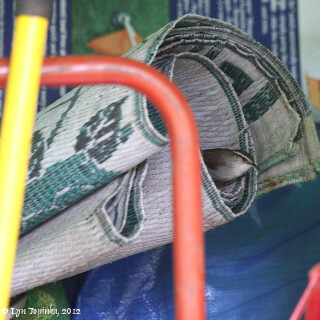 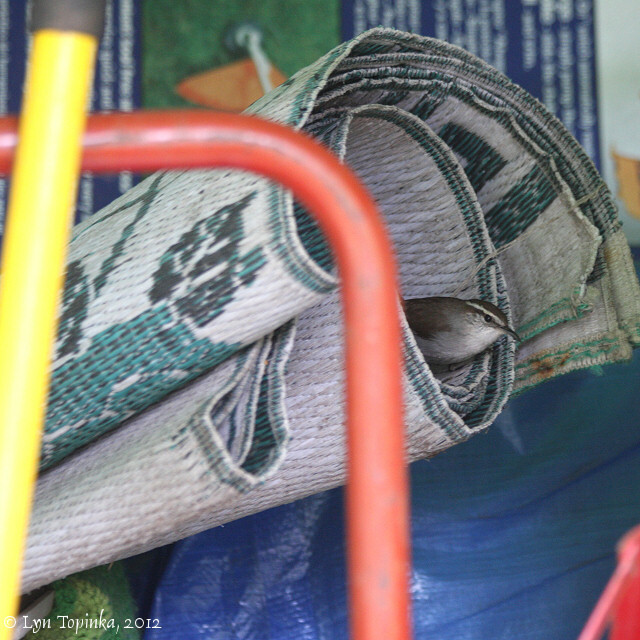 Presumably the nest is at the bottom of the rolled mat tube. 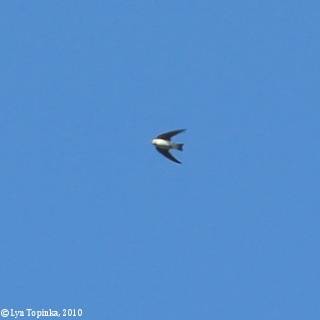 Image taken May 5, 2012. Canon EOS 40d, 300z. 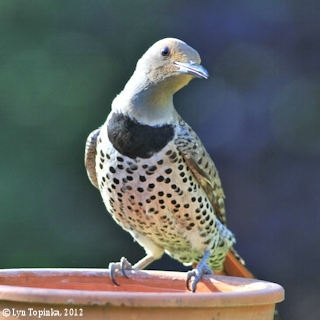 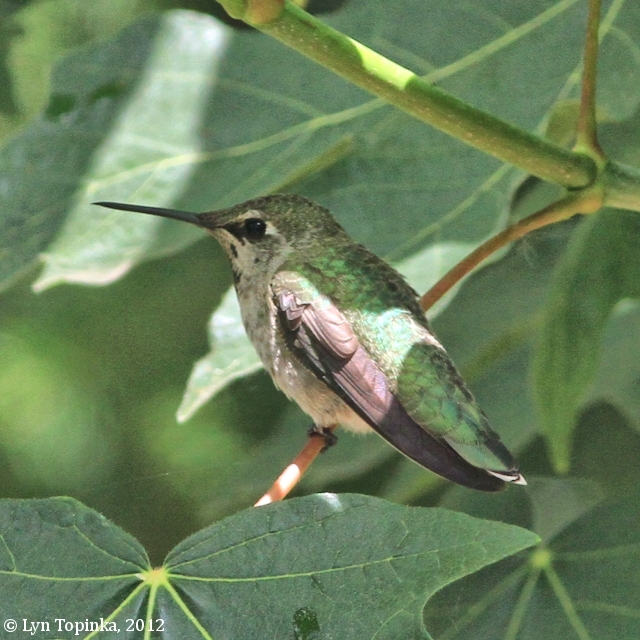 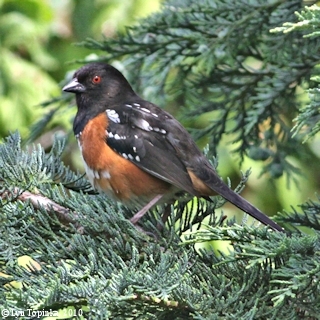 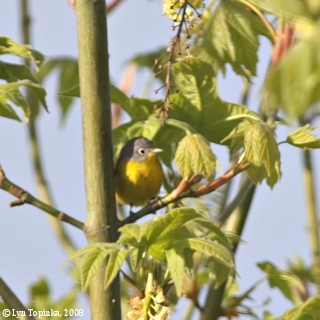 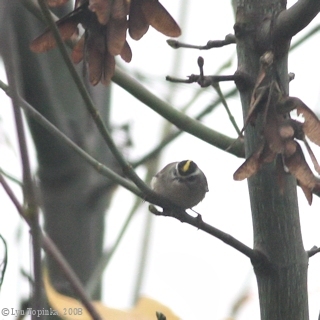 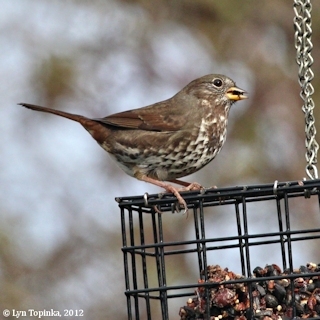 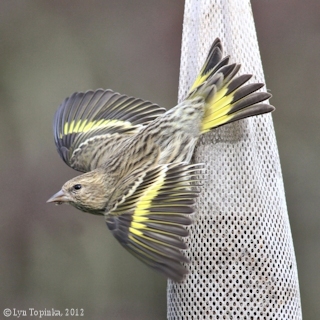 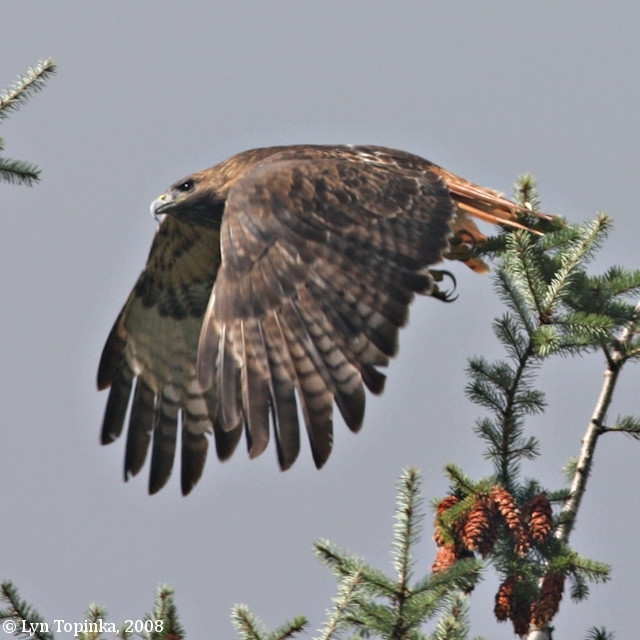 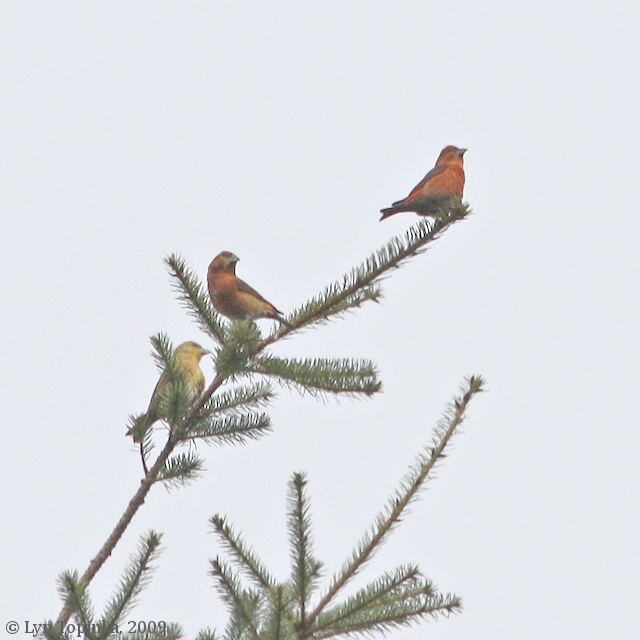 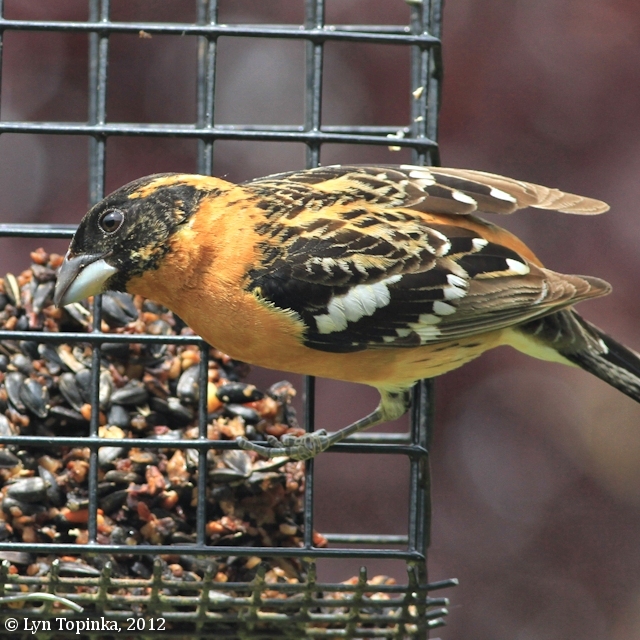 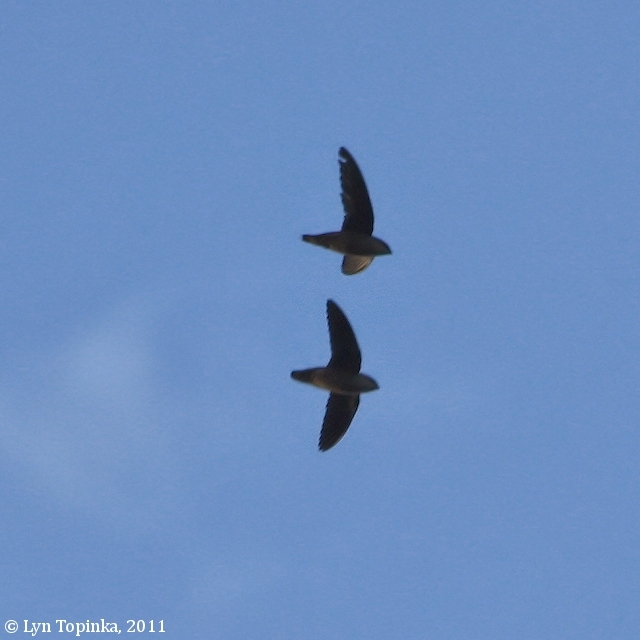 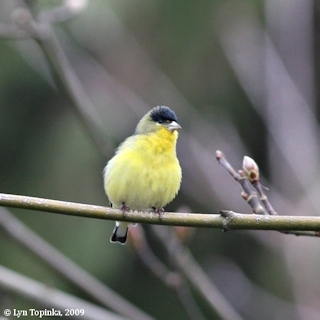 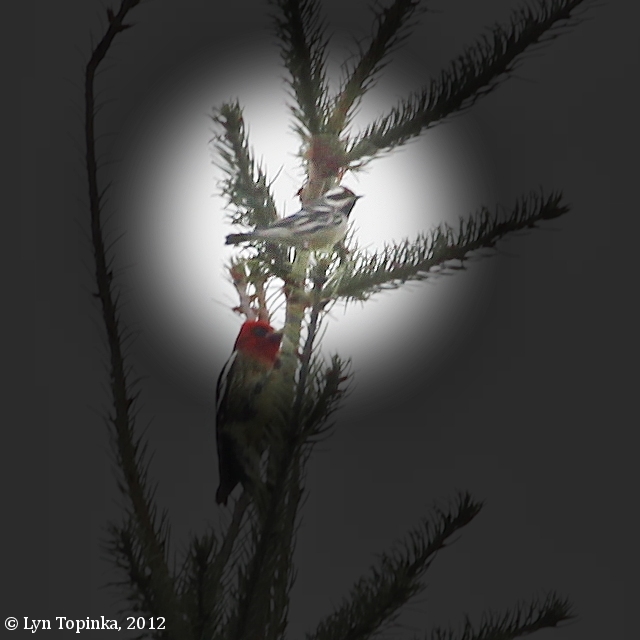 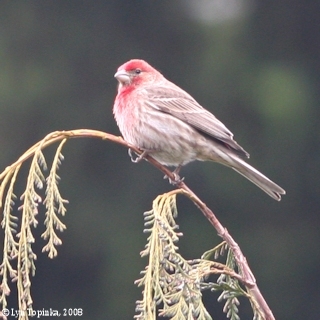 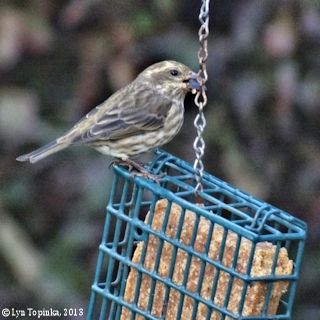 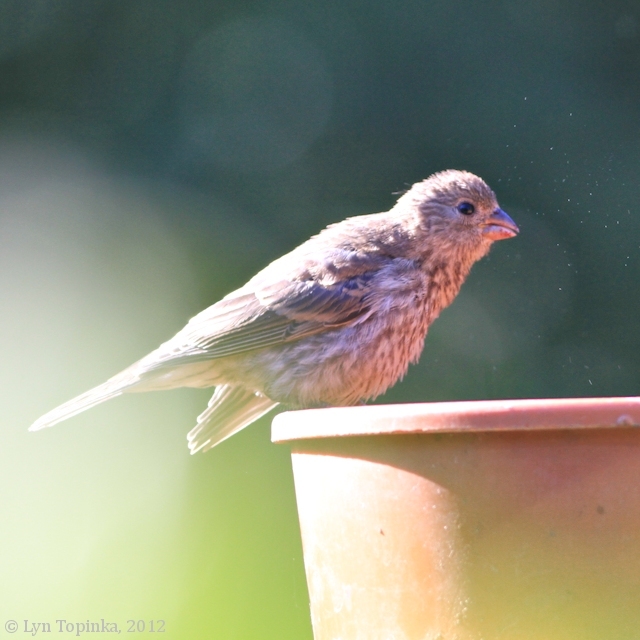 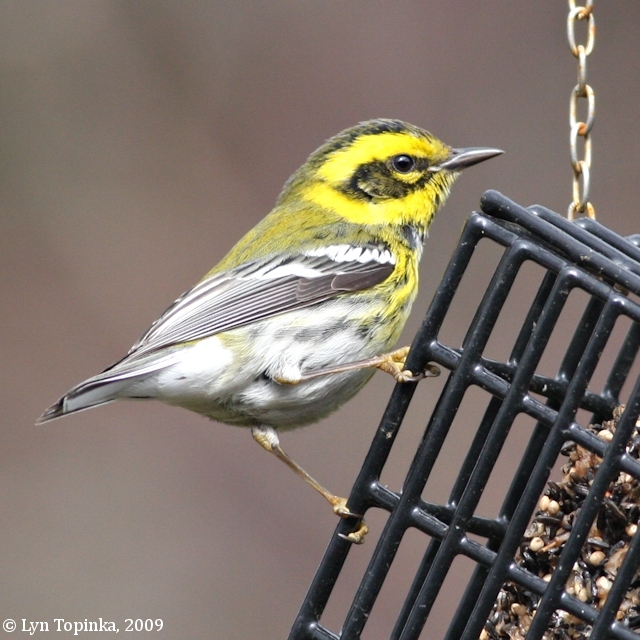 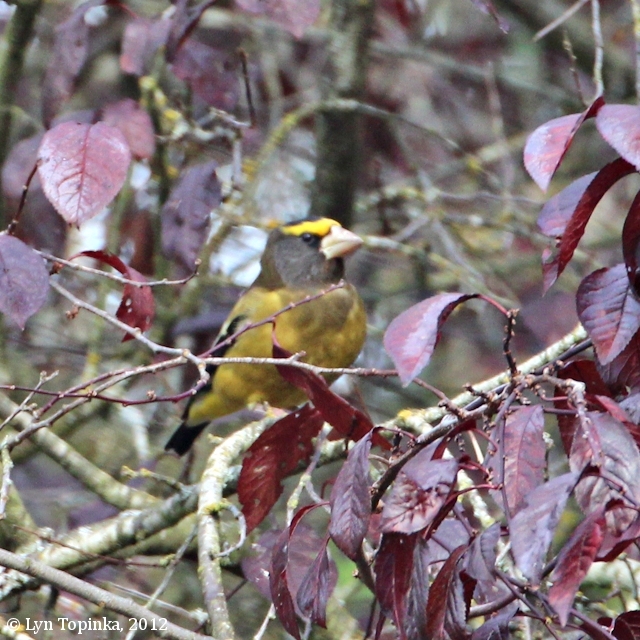 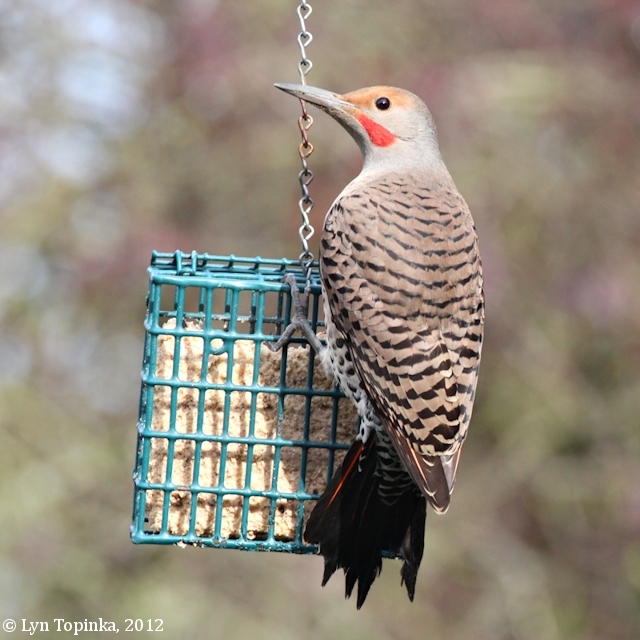 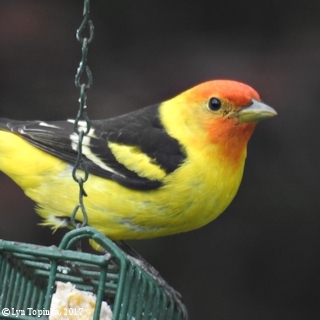 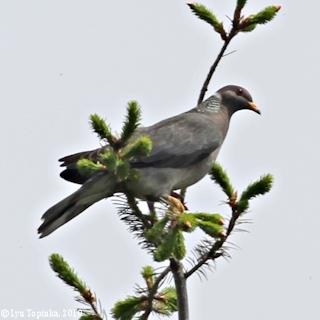 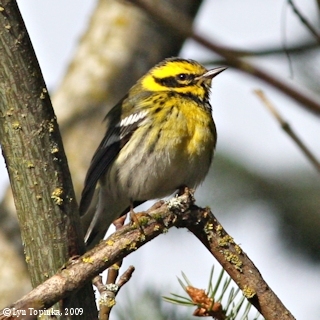 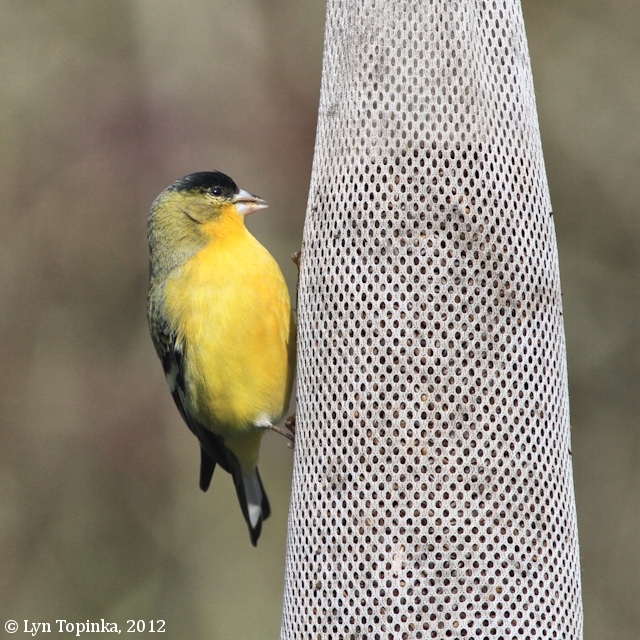 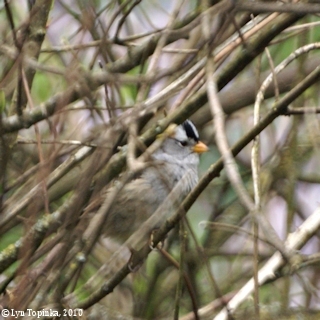 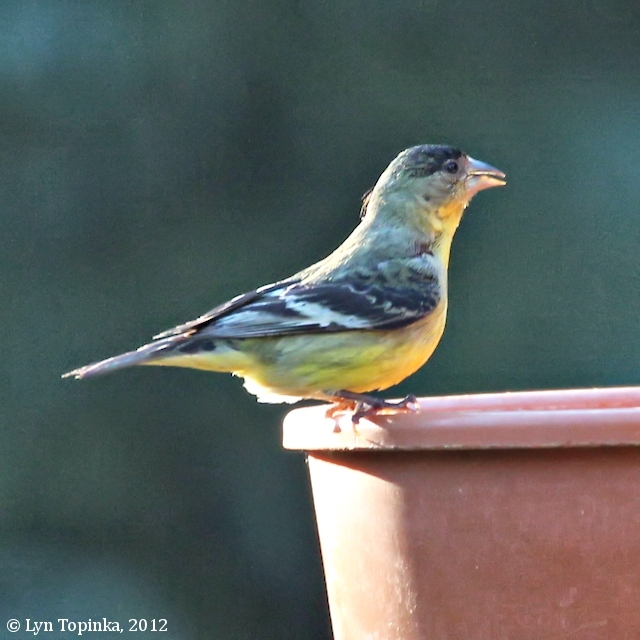 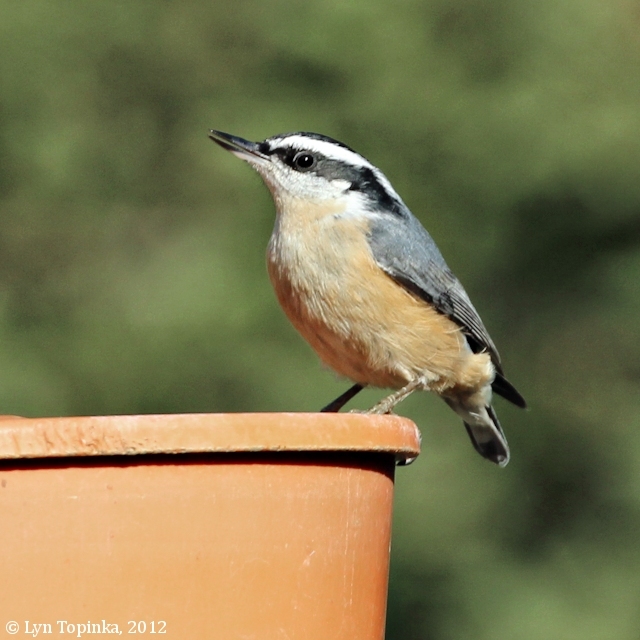 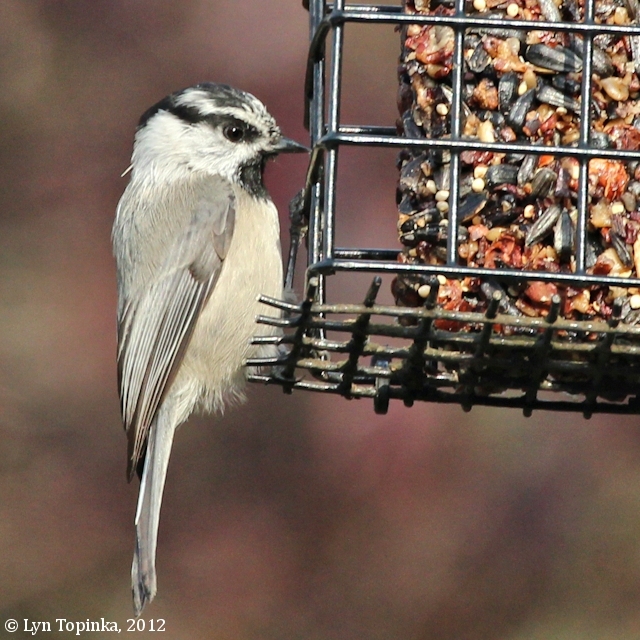 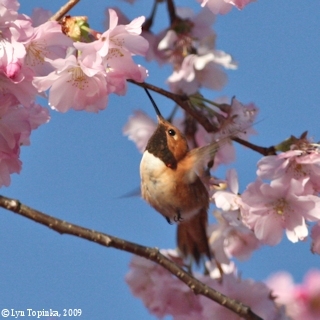 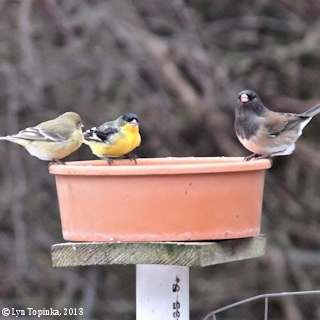 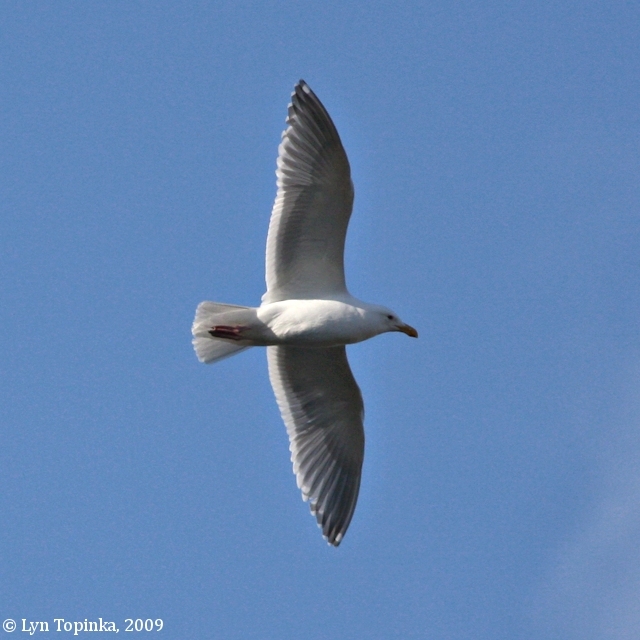 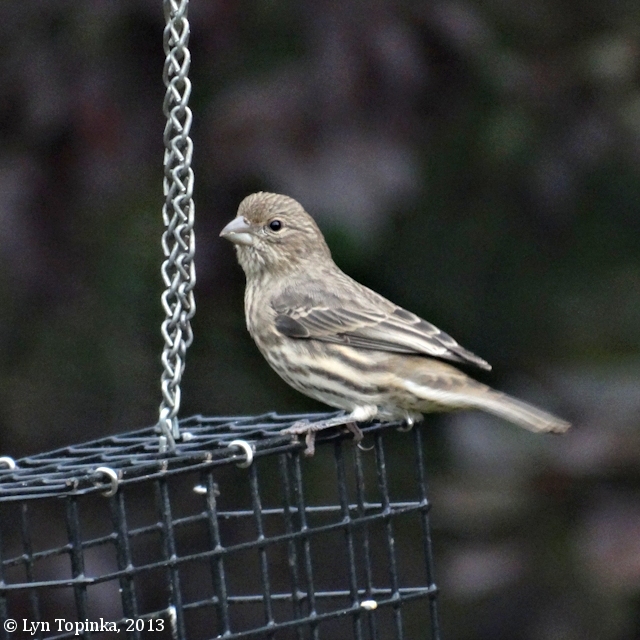 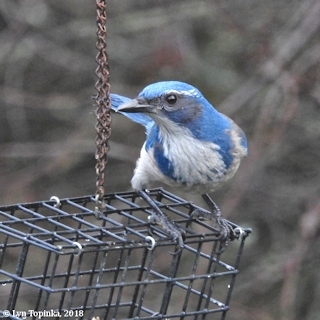 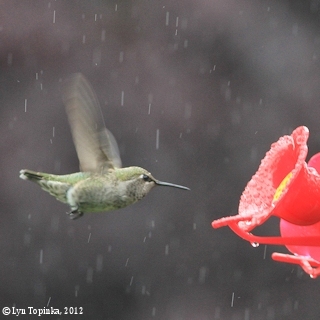 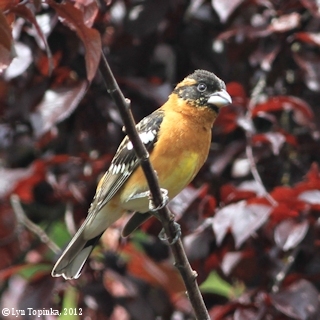 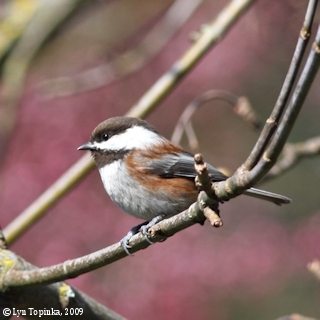 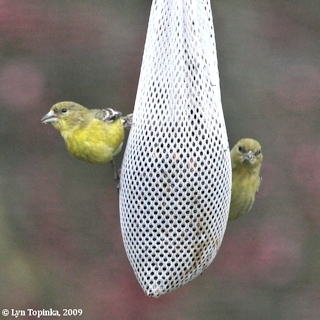 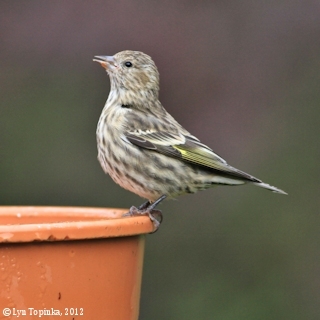 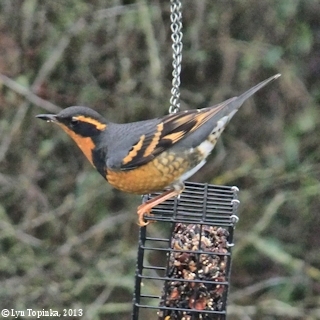 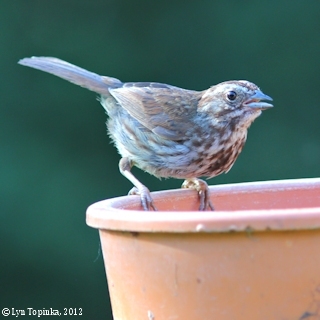 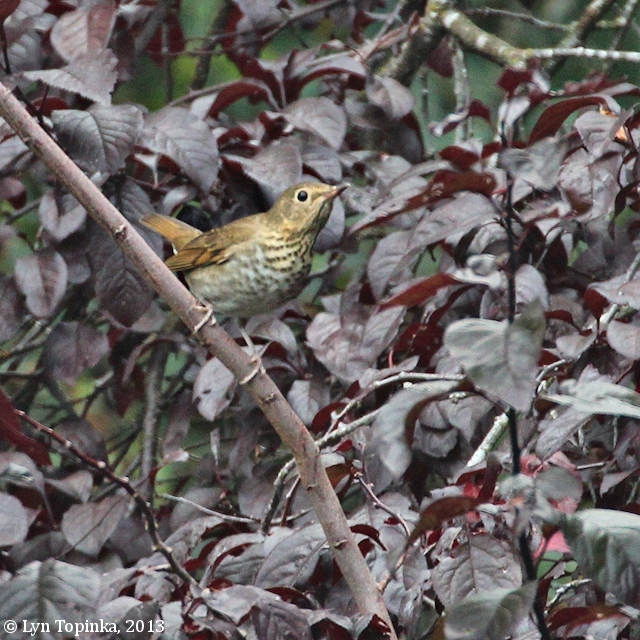 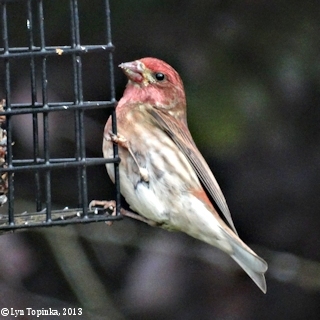 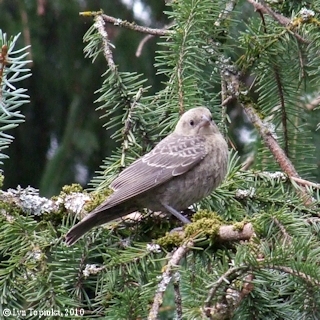 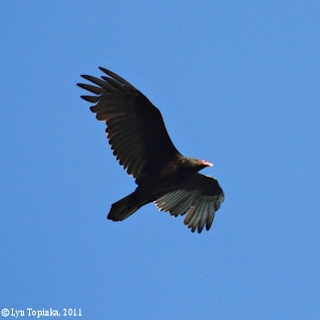 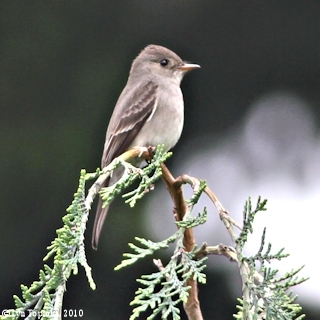 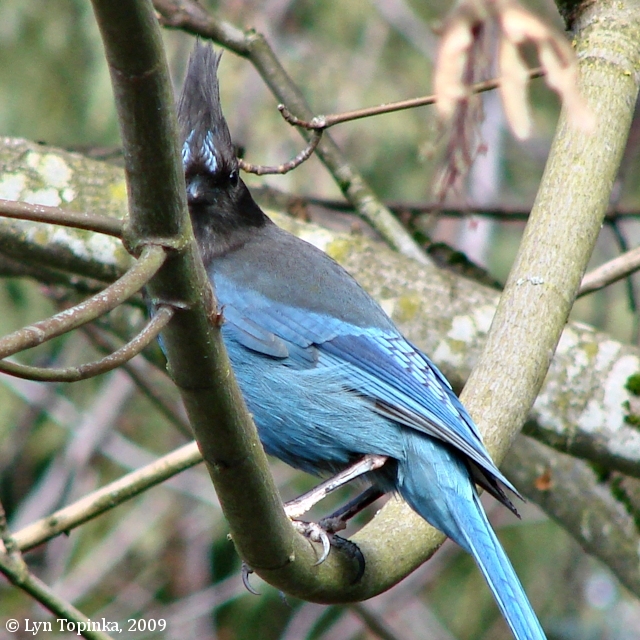 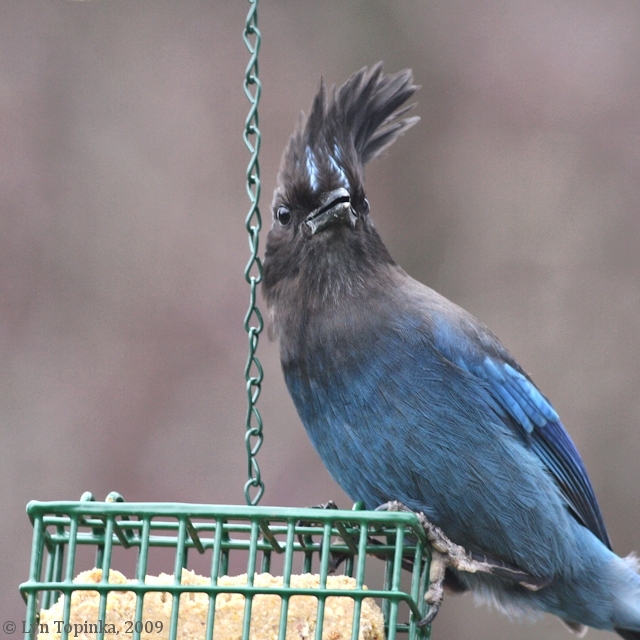 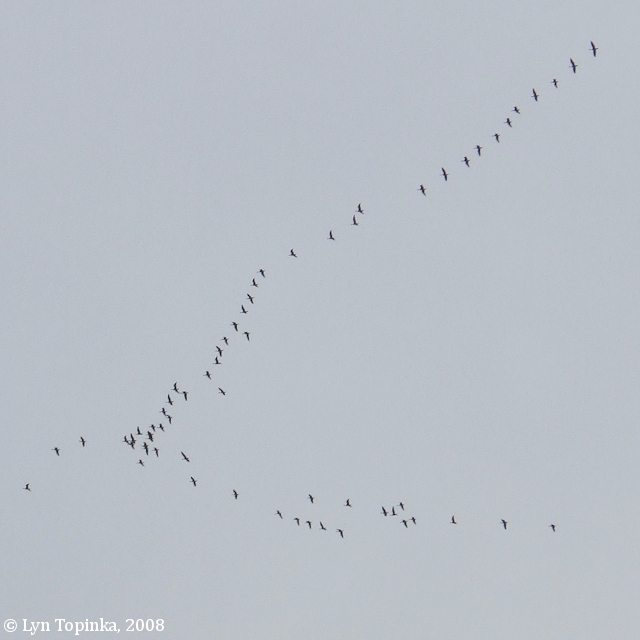 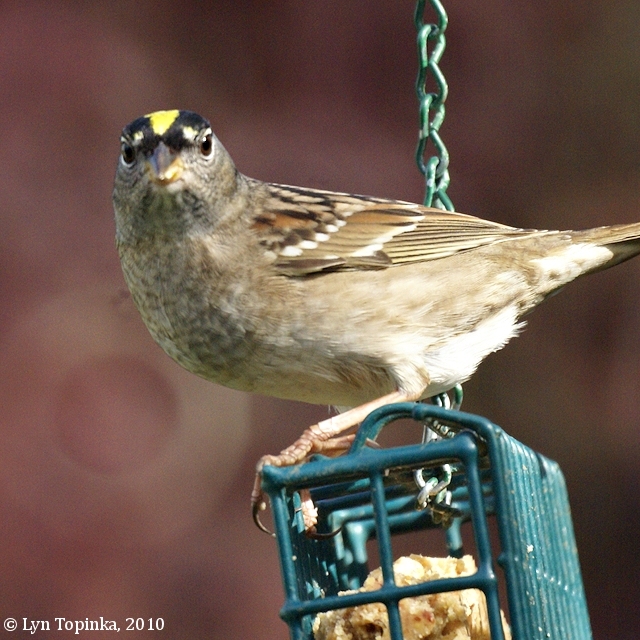 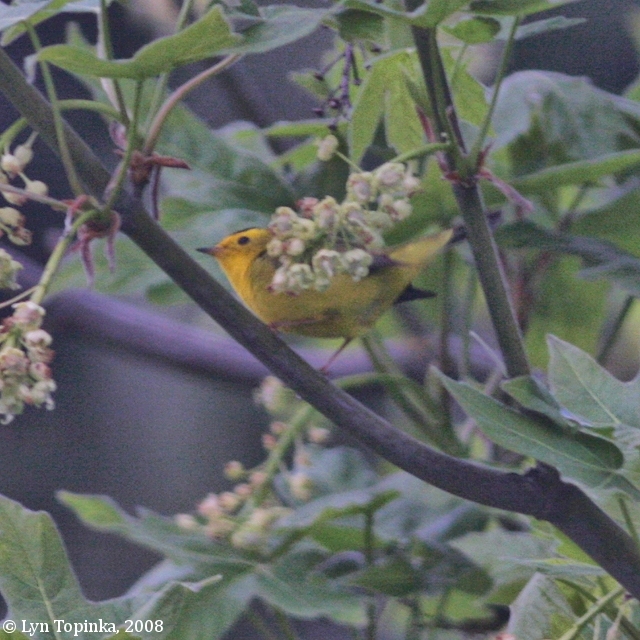 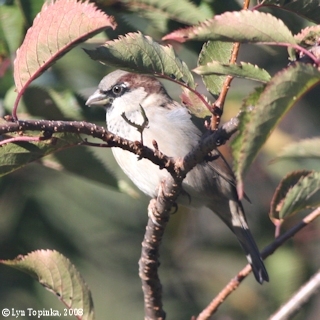 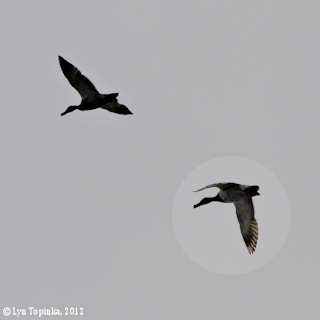 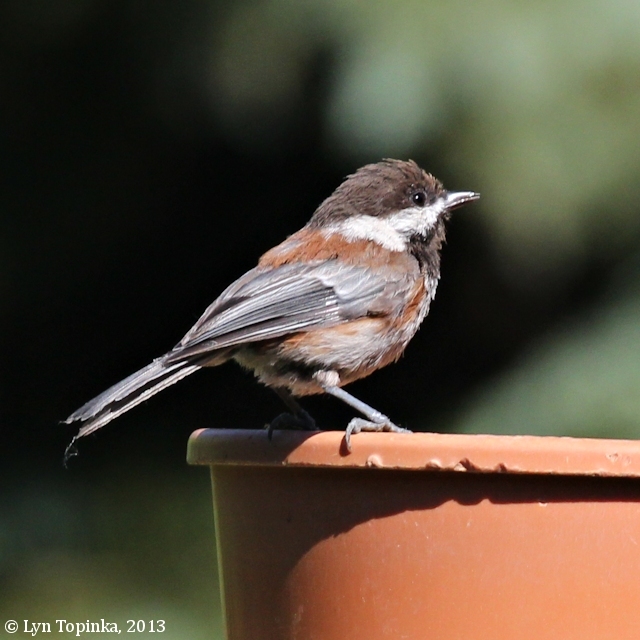 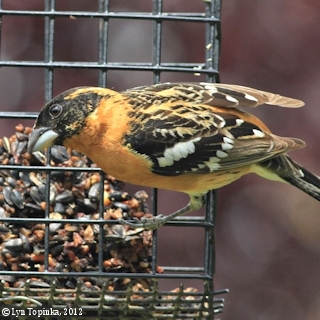 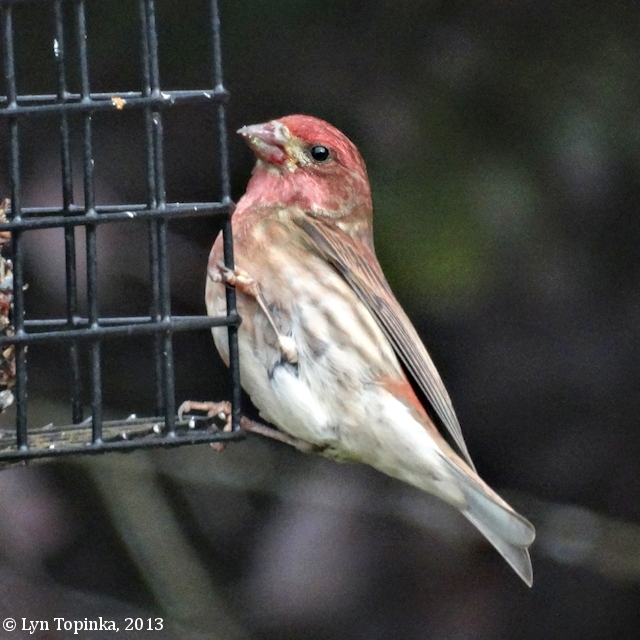 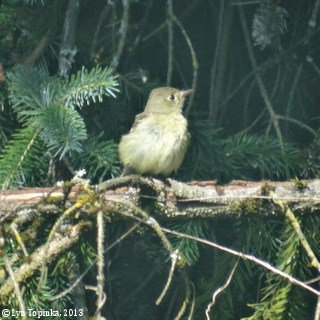 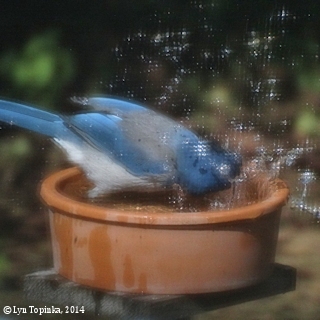 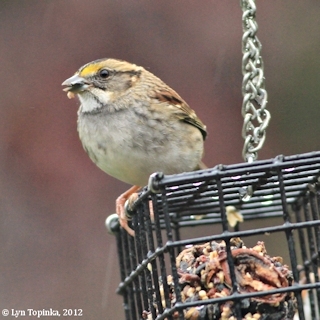 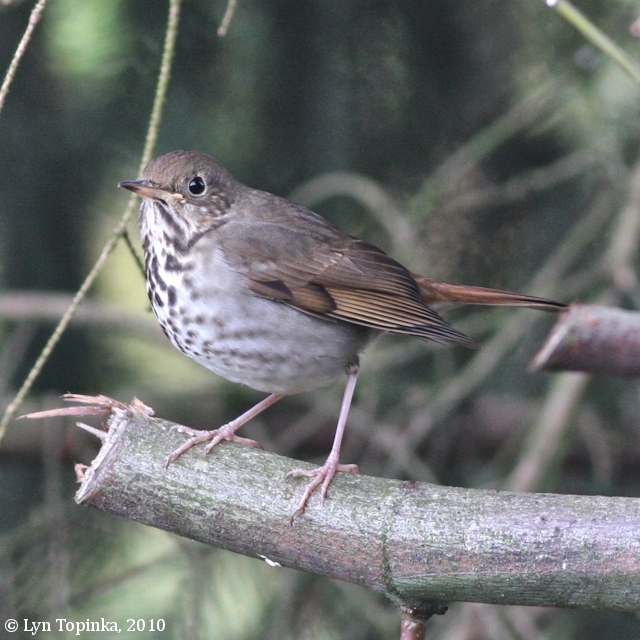 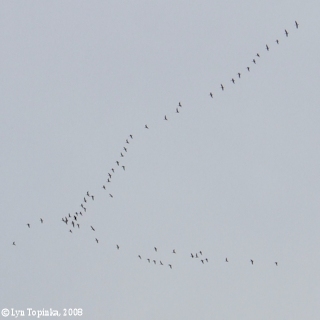 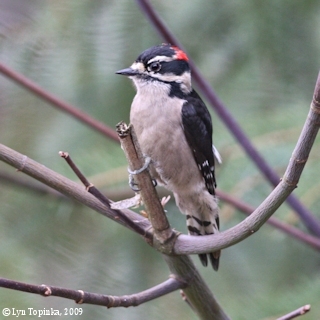 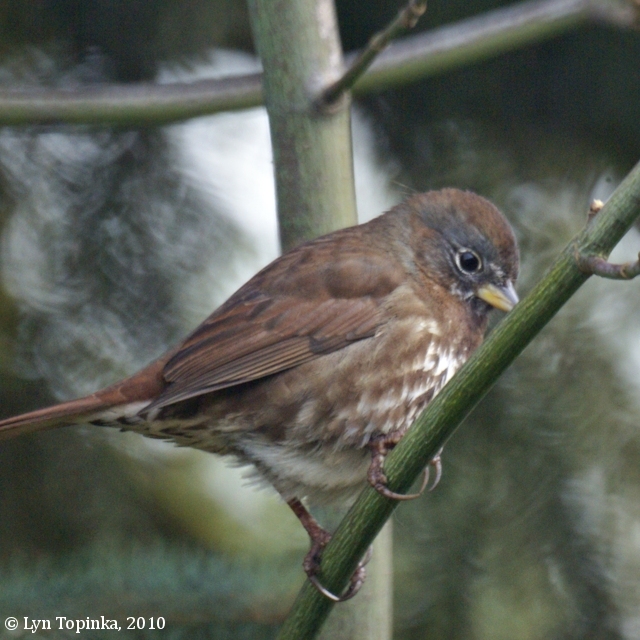 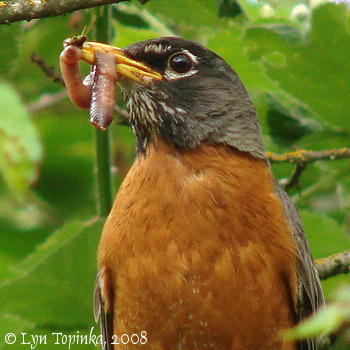 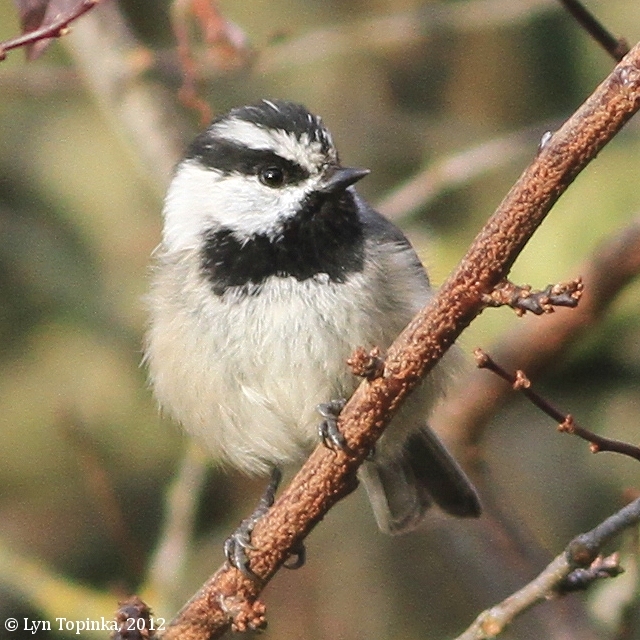 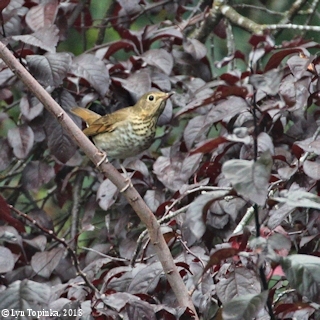 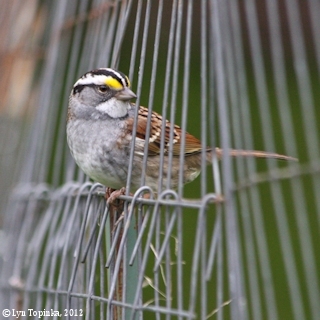 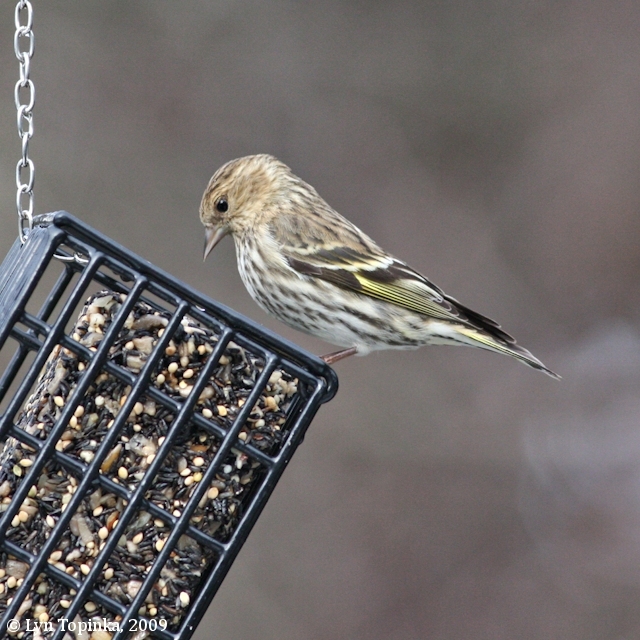 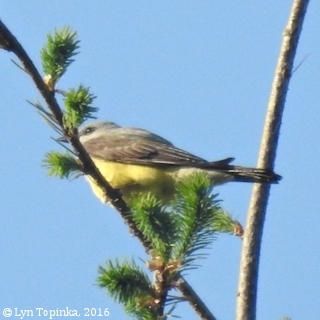 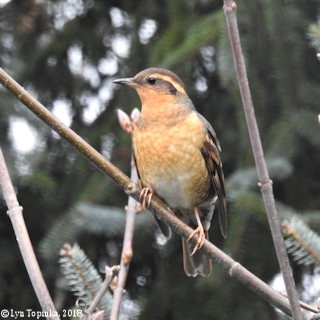 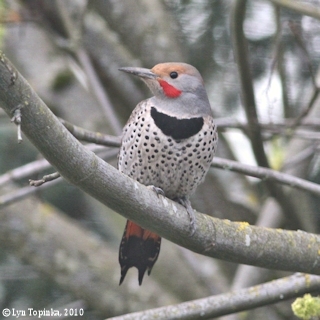 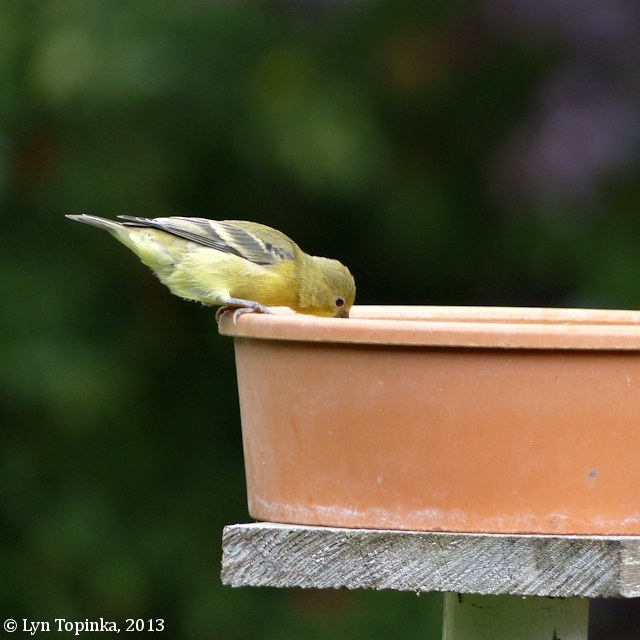 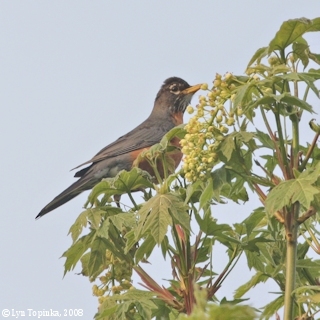 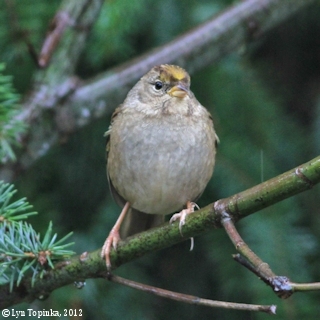 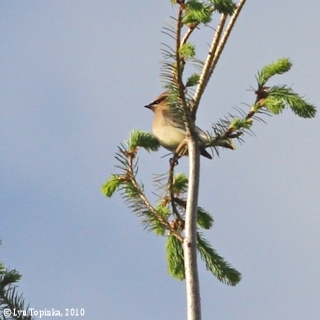 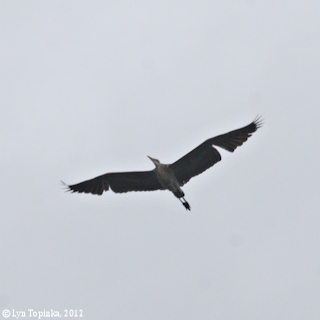 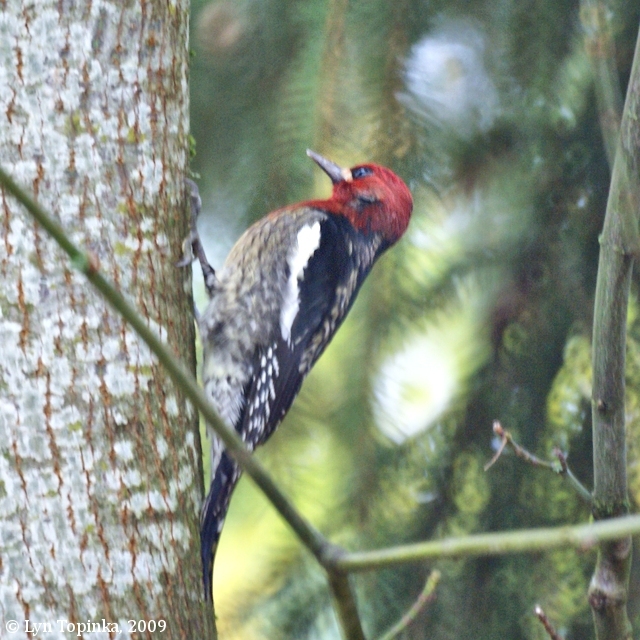 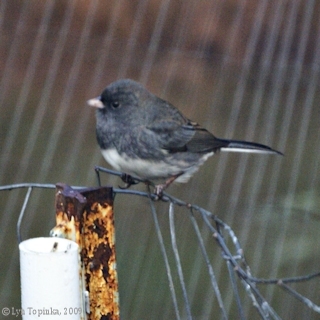 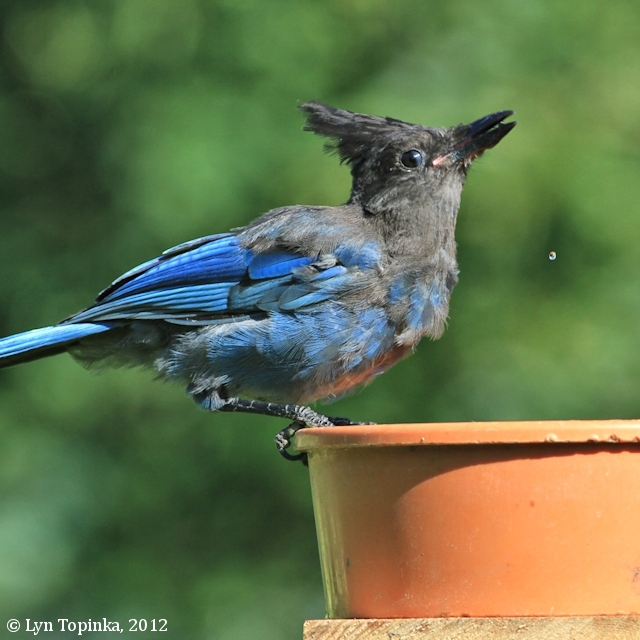 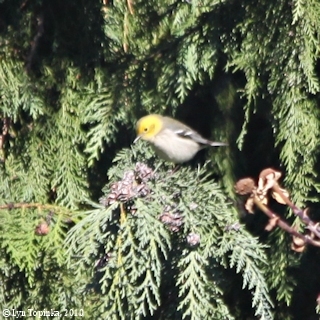 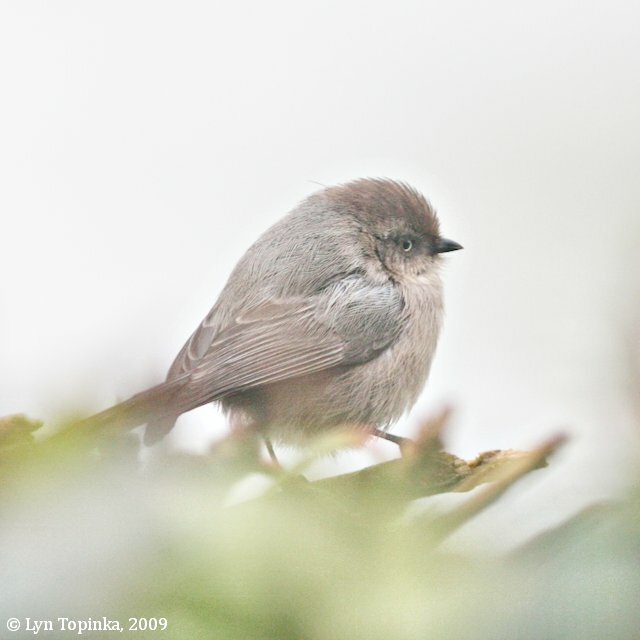 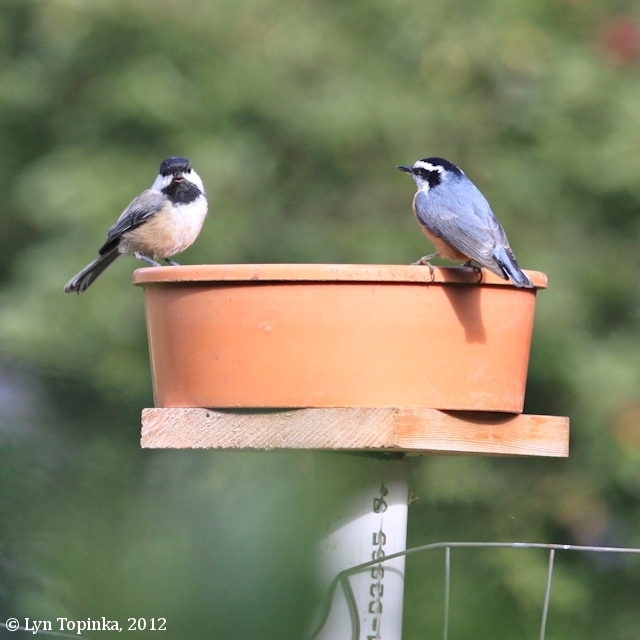 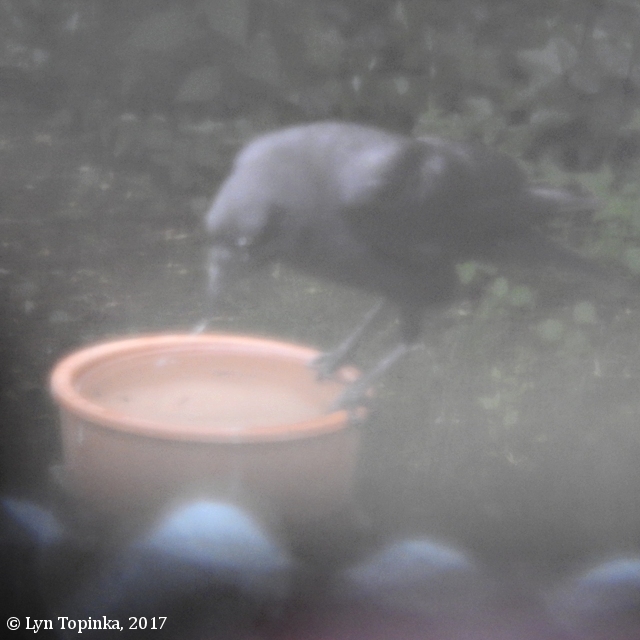 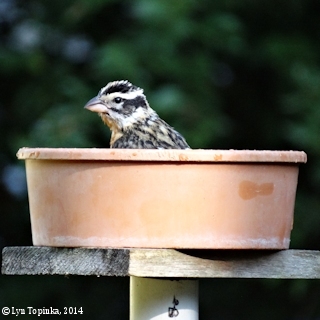 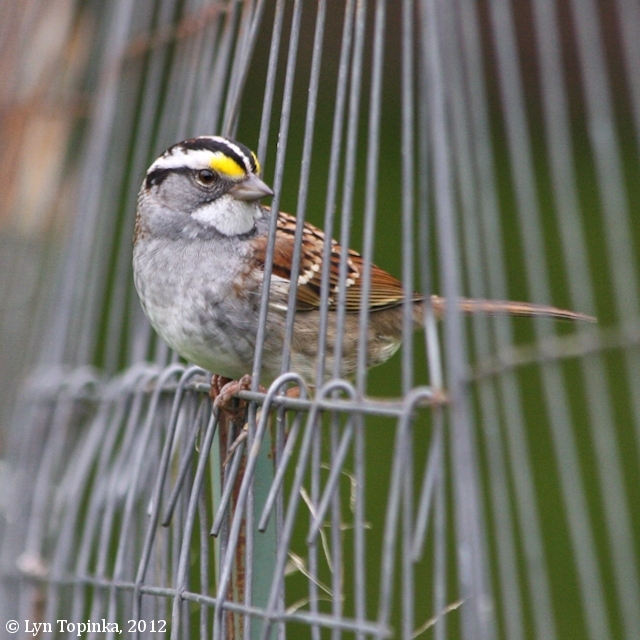 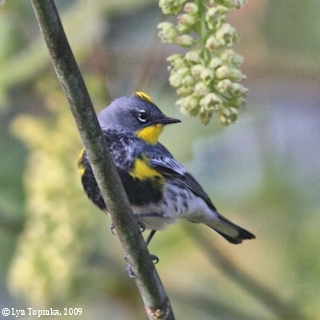 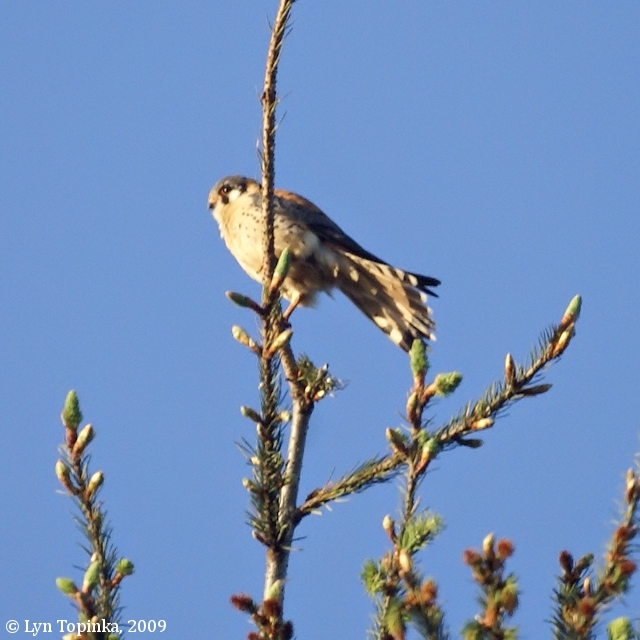 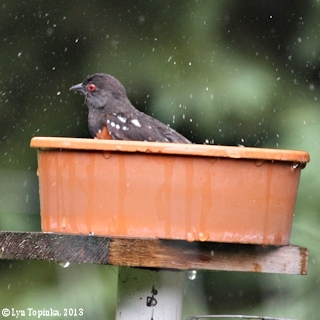 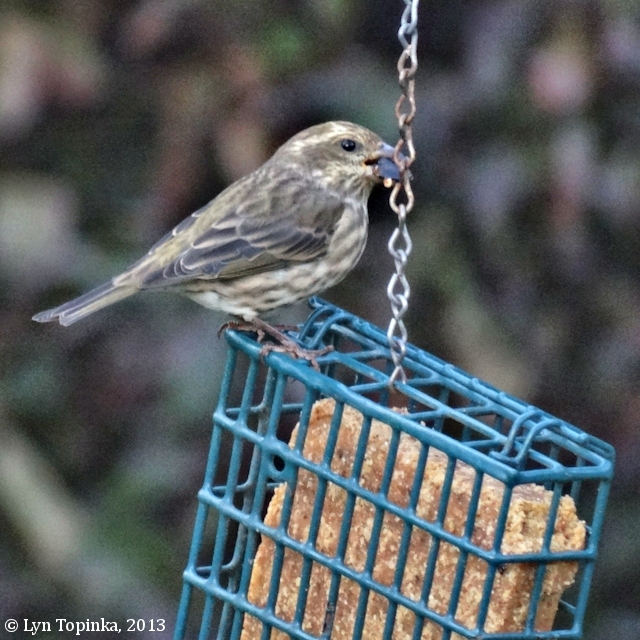 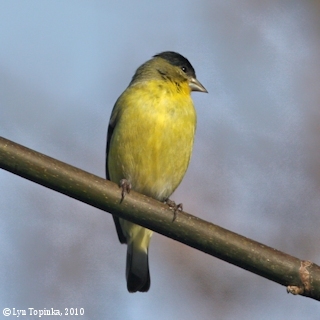 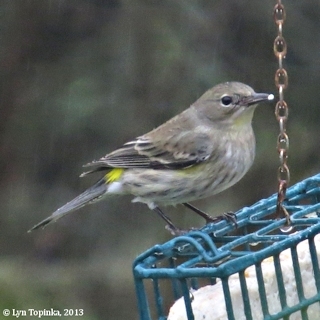 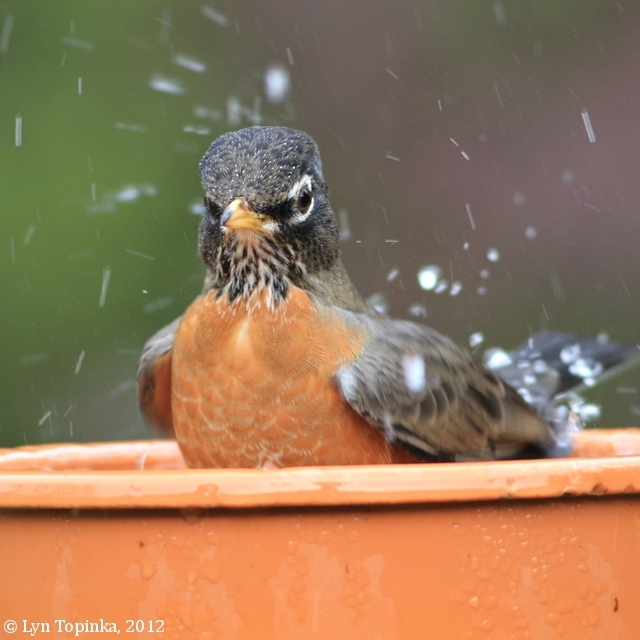 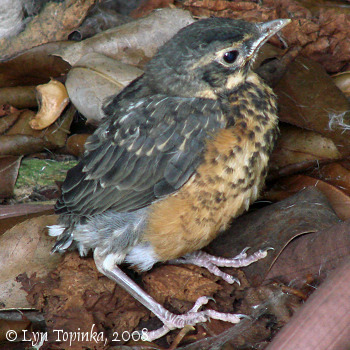 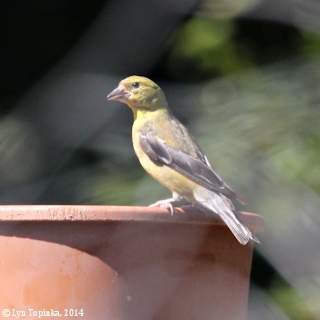 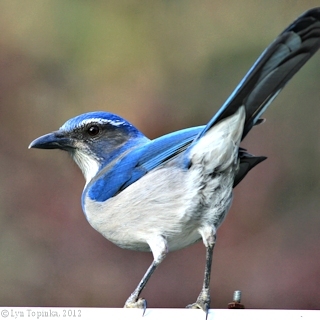 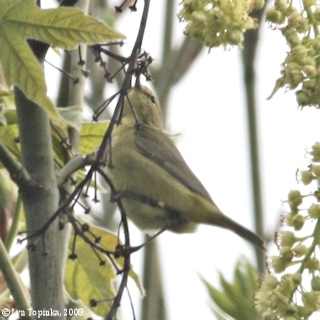 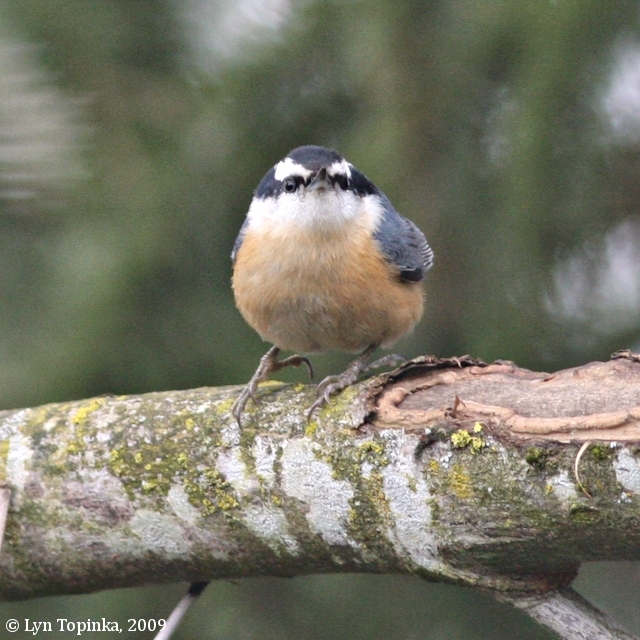 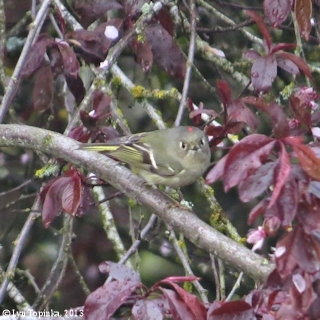 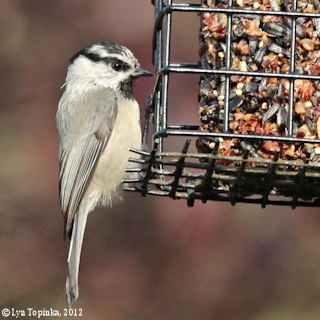 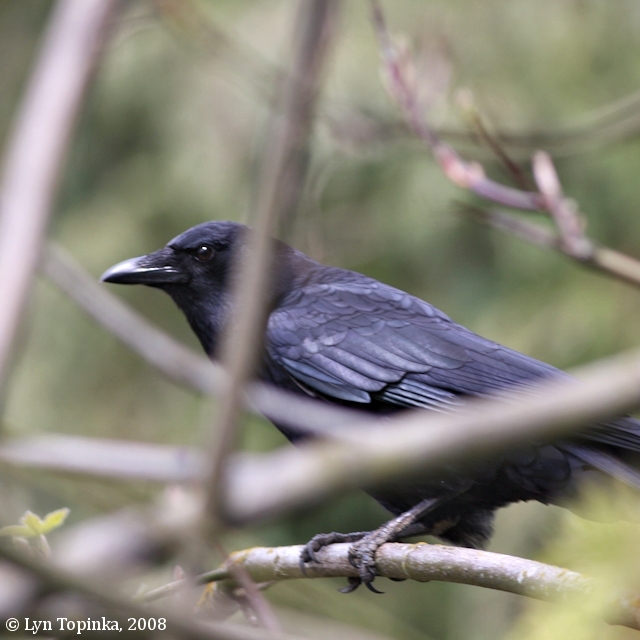 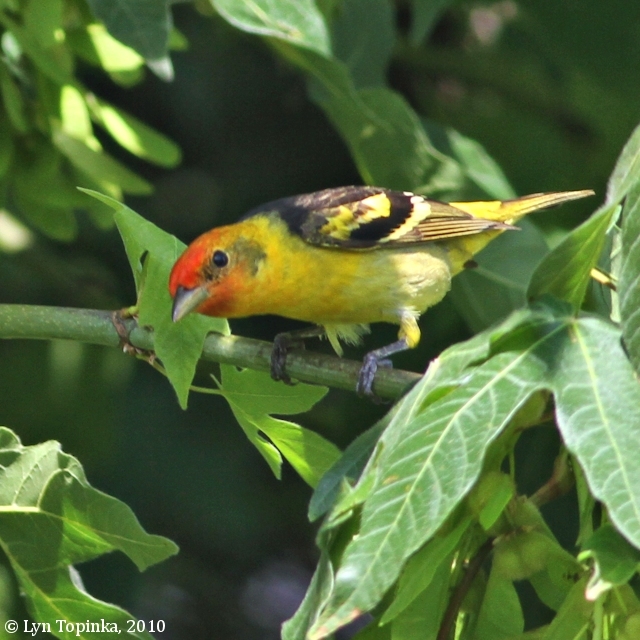 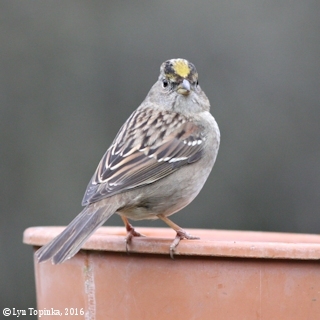 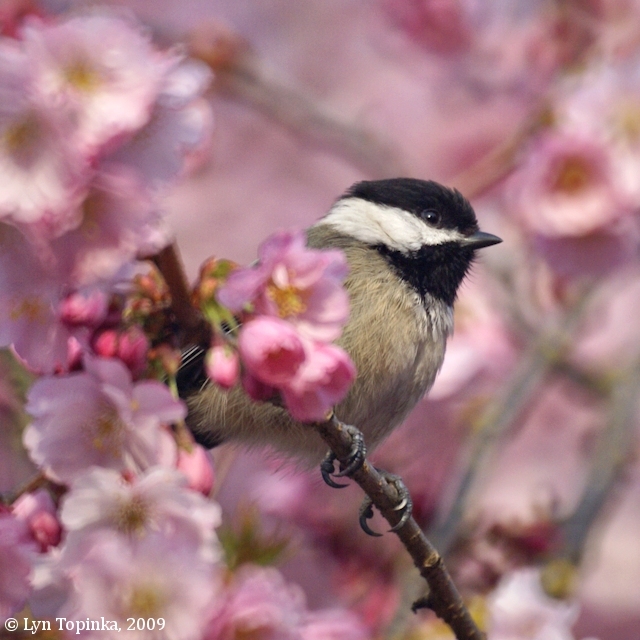 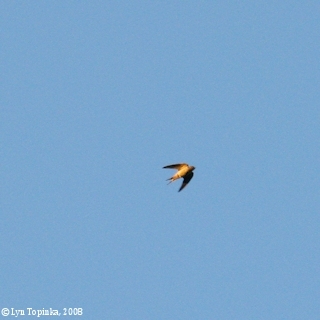 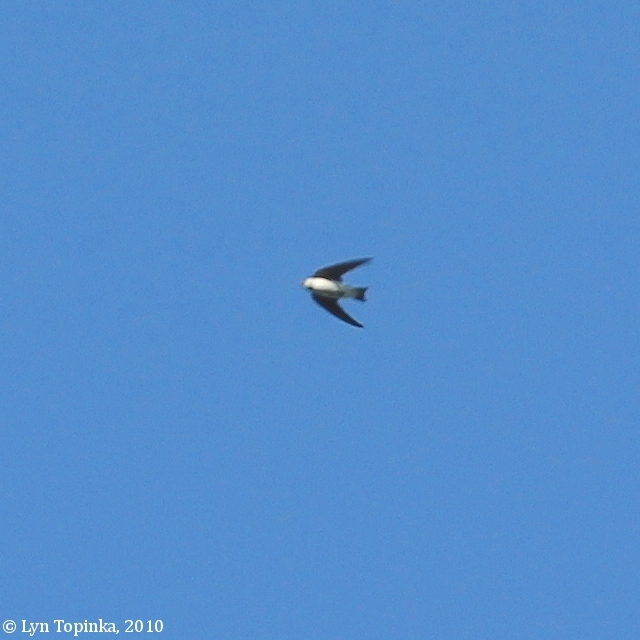 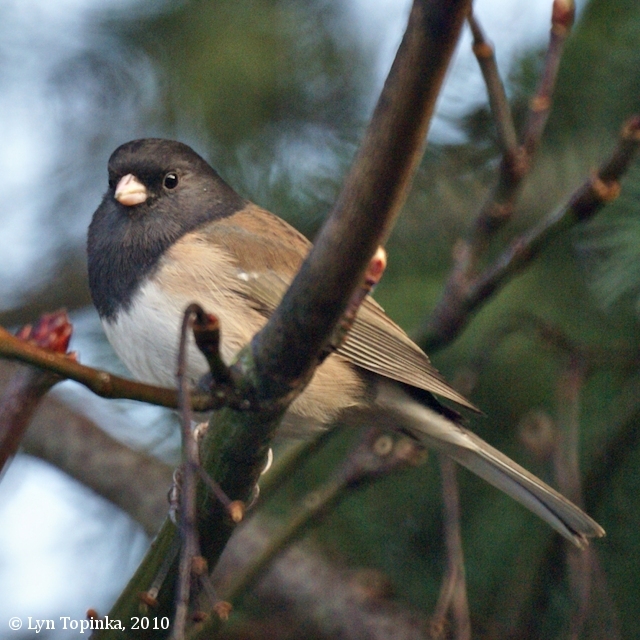 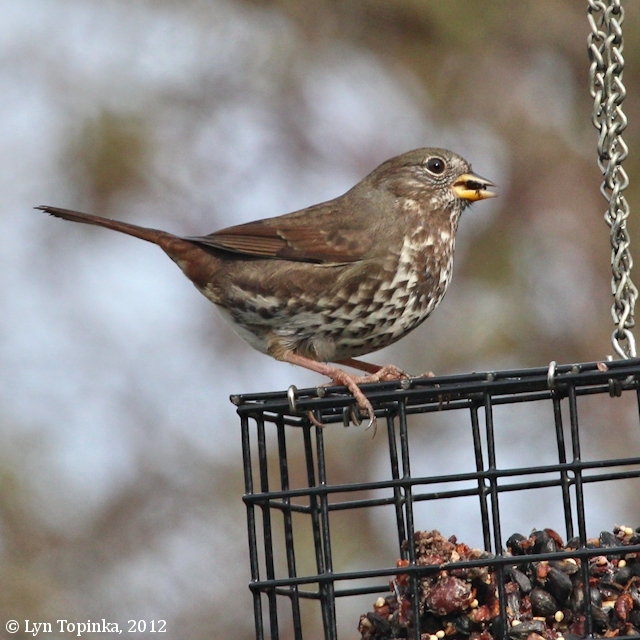 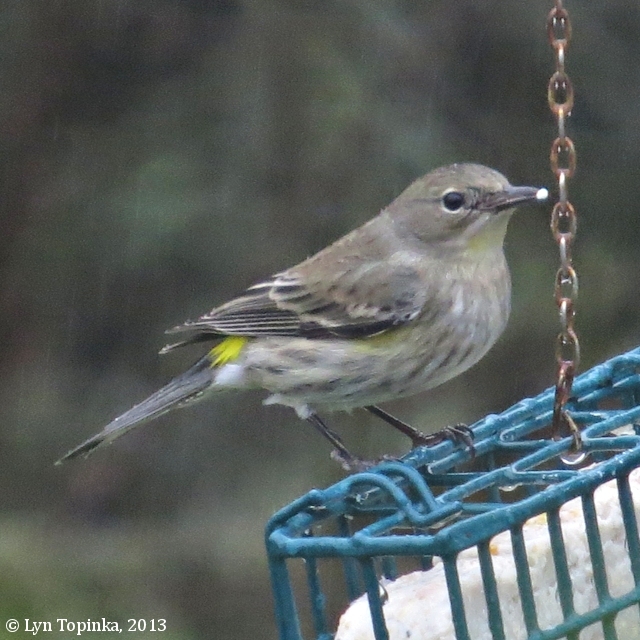 © 2013, Lyn Topinka, "NorthwestBirding.com", All rights reserved. Images are NOT to be downloaded from this website.